Can you describe the process to reconstruct the appearance of hominins? In particular, how do you combine the fossil evidence together with other sources to provide them movement and life? I try to apply my own understanding to the anatomy to the model before I look at other artists so then I have a fresh perspective. But my niche is in digital art which I teach at Edinboro University of Pennsylvania. I look at Kennis Brothers, John Gurche, Elisabeth Daynès, Viktor Deak, giants in the field who do reconstructions and I’m in awe. We are a visual species. And I for one want to explore the possibilities. Perhaps that’s what sets us apart. Art follows science and vice versa. 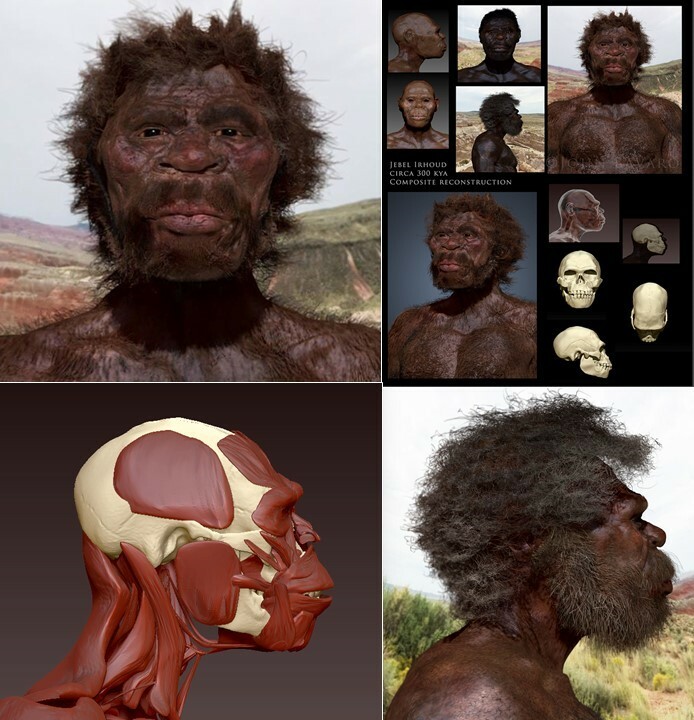 For instance, the Lucy skeleton or the Turkana boy skeleton totally “rewrote” history. In the case of Lucy we now know that she was hybrid tree climber AND a walker. In the case of Turkana Boy there’s clues about gait and the posture etc. It’s a puzzle that constantly revealing itself. So art follows science in the tendency for equivocation and I’m not being insulting to science when I say that. In fact, every discovery that comes out now days “rewrites” the understanding of the “mythical textbooks”. Now with the internet we’re getting more impatient. I for one, think that’s lazy clickbait. A teaser, hubristic or both If I read something that says that “new discovery which changes the way we look at things” I say, “Yeah, until the next time which is probably at this pace, a month away.” I know that science is continuingly changing, which is counter to the current understanding (in popular culture) of it which that it is static. Those in the field know about this, but modern society holds it up as basically like religion. “Well, Science says…….” But scientists know that it is ever-changing process. In this era, changes happen at dizzying pace that I can’t keep up with them quickly enough. It’s like same way that T-Rex was pictured just 50 or 60 years ago with the tail down instead of up. Your work is very up to date with all recent finds in human evolution. 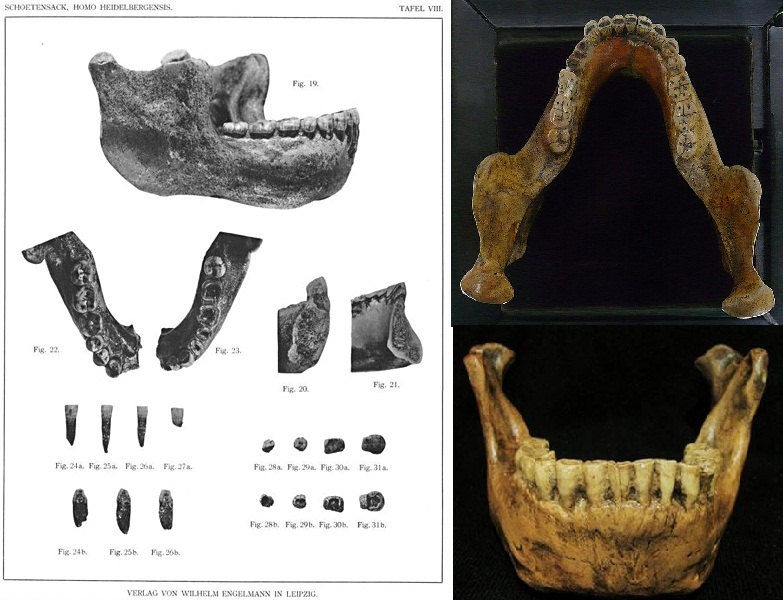 Let’s discuss three examples: Jebel Irhoud, Homo naledi and Denisovans. 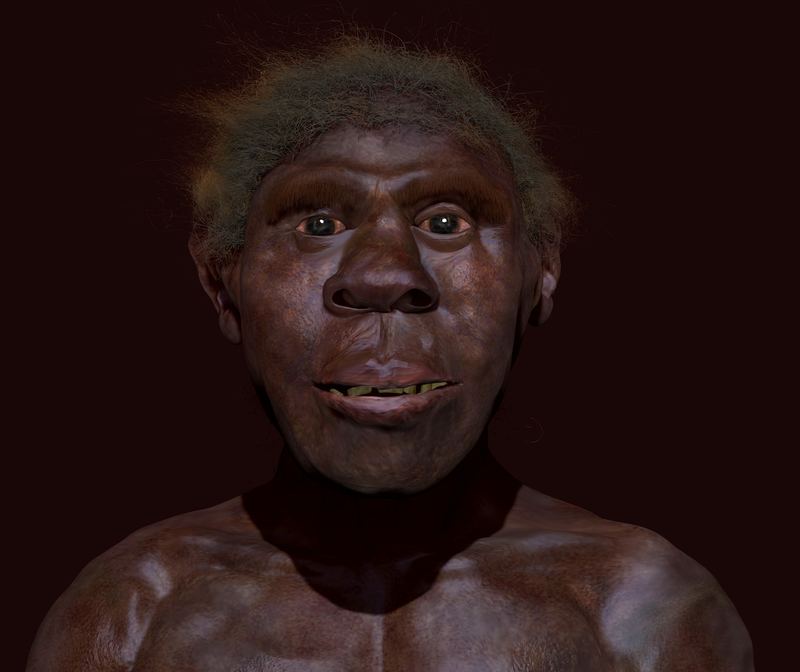 You have created an illustration of the human from Jebel Irhoud, dated to 300 Ka and recently proposed as the earliest Homo sapiens known so far. 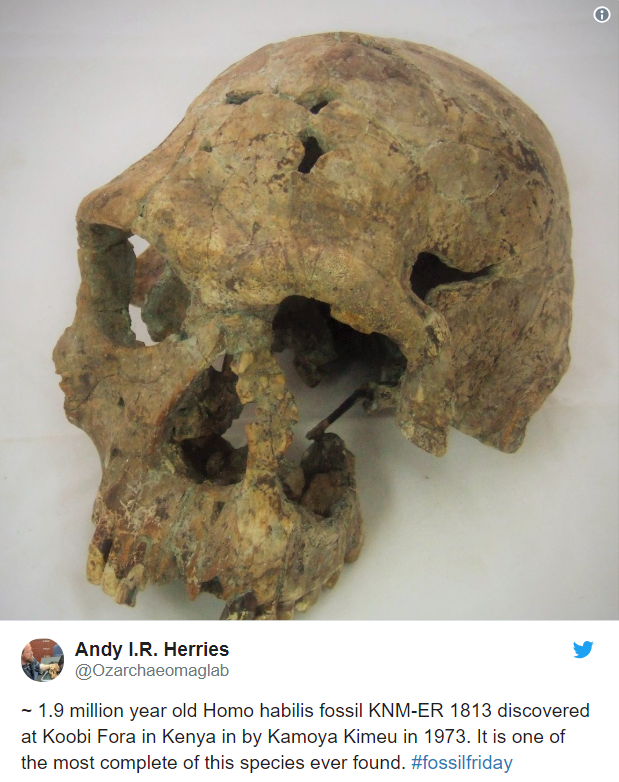 However this has been contested because of the primitive traits of this specimens which are different from other skulls like Omo or Herto dated to 200 Ka. To what extend did you consider the Jebel Irhoud as ‘modern’ in your illustration? Since the 1970s several prints and trails of mammal, bird and insect have been identified in 18 sites (labelled from A to R) out of 33 total palaeontological localities in the Laetoli area, Tanzania. 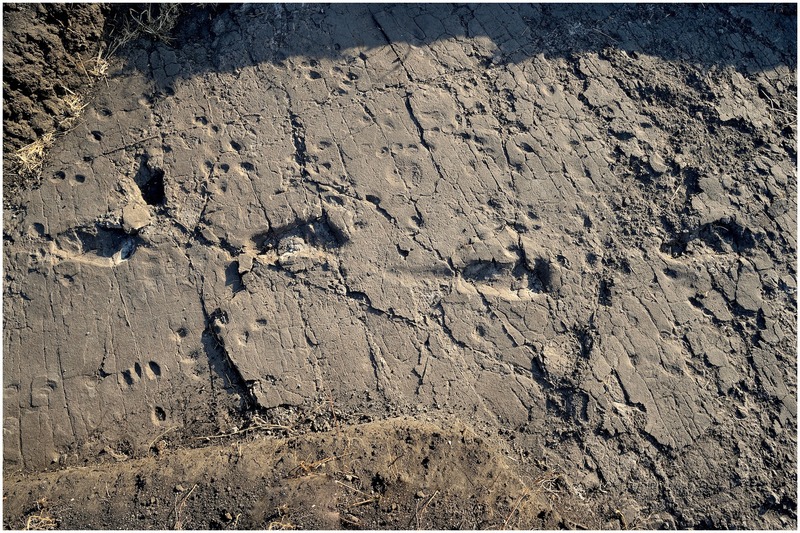 In 1978 a 27-meter footprint trail was found at Site G, with about 70 footprints corresponding to 3 hominins. They were bipedal, had big toes in line with the rest of their foot, and their gait was “heel-strike” followed by “toe-off”, that is, the same way modern humans walk. The footprints were ascribed to Australopithecus afarensis, as suggested by the dating (3.66 Ma) and the fossils found nearby in the same sediment layer. Figure 7 from Masao et al. 2016. Original caption: Southern part of the hominin trackway in test-pit L8. Footprints L8/S1-1, L8/S1-2, L8/S1-3 and L8/S1-4 are visible from left to right. The heel drag mark is well visible posteriorly to L8/S1-3. The following is the list of key hominids found in the Olduvai Gorge archeological sites. They are coded as OH nn (Olduvai Hominid number of fossil). The list is sorted by species and code. You can click on any pic to enlarge. They are real treasures to understand the human origins in the last 2 million years. Don’t miss the bonus surprise at the end – Enjoy! OH 7 (1.7 Ma. Site FLK NN). 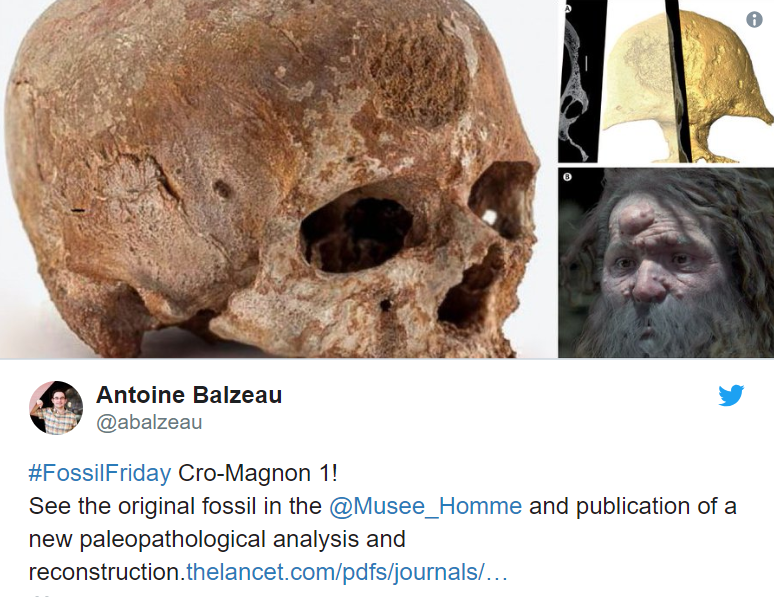 It consists of 24 bones (parietal bones as most significant), teeth and mandible of a 10-12 year-old male. Discovered by the oldest son of Louis and Mary Leakey on his 20th birthday, it was thus nicknamed “Johnny’s Child”. 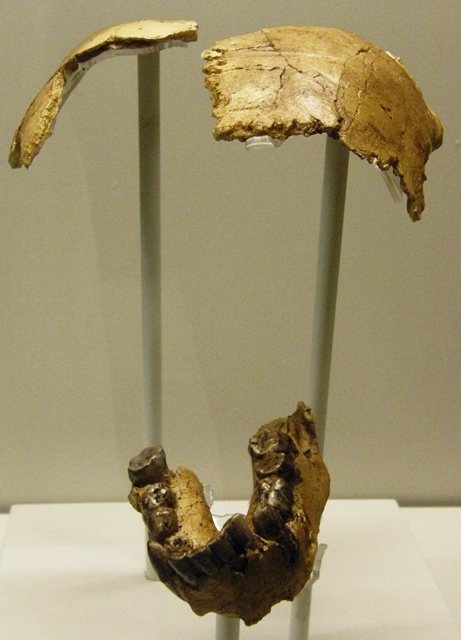 It is the type specimen of the Homo habilis species.